In a quest to scale and better tap into real-time sentiment and mobile targeting, Twitter has gone on an acquisition spree with the purchase of Trendrr, a social-TV analytics company, as well as MoPub, the world’s largest mobile ad exchange. Both moves solidify Twitter’s desire to bring together and own, particularly vis-à-vis Facebook, three key spaces: TV and online multi-screening, mobile, and programmatic buying. Today, many advertisers use Twitter to support their TV ads and as a consequence the social network has been developing its analytics platform to help. Twitter also added a TV slant on its targeting when earlier this summer it rolled out a TV Ad Targeting in the US. This product allows advertisers to target their ads towards users who are likely to have seen the shows where their ads ran based on what individuals have tweeted or the hashtags they have used. 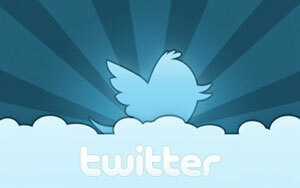 The acquisition of Trendrr adds two key products to Twitter’s stable: Trendrr.TV and Curatorr. Trendrr.TV provides TV networks, publishers and media agencies with tools to track TV engagement across social networks, including Twitter. Curatorr allows those same parties to sort through social streams to visualize data and to help them identify high-quality tweets. These tweets can then be re-tweeted by a TV show's Twitter account or show up on air during a live show that includes Twitter conversations as part of their show format. These recent acquisitions actually compliment a third major trend occurring with TV and mobile which is two screen viewing and conversations, especially around live events. The ability to track and target real-time messages to relevant users more accurately is being reinforced with these acquisitions. Finally, there is widespread speculation of a forthcoming Twitter IPO next year; these acquisitions should further improve its attractiveness to advertisers, and therefore Twitter’s financial performance and profitability. These acquisitions will not only allow Twitter to offer deeper audience insights and functionality to marketers, networks, publishers and other organizations, it will also bring in-house a competing service. Trendrr was the last independent player in the social TV chatter space; Twitter bought Bluefin Labs in February and Nielsen bought SocialGuide in November. This is all notable as Facebook has been evolving its platform to become more of a contender in the real-time conversation market with the development of new tools like Trending Topics and hashtags. Facebook has also indicated that it’s looking at its association with TV much more closely. Facebook announced in July (coincidentally from the results of a Trendrr research piece) that it has more TV chatter than Twitter just behind “closed doors” due to its users’ ability to restrict access to their content. By absorbing Trendrr, Twitter has not only bolstered their appeal to advertisers, but they have also ensured Facebook have limited options for future acquisitions. For many users Twitter is the place where real-time conversation happens. This engaged audience and stream of real-time data has attracted advertisers and has started to turn into much needed advertising revenue. The additional functionality and expertise Twitter gains as result of this acquisition will add to its second screen credentials and give advertisers more tools to better target their consumers across whatever screen they are engaging. No doubt we will see much more development in this TV, social, and mobile intersection.